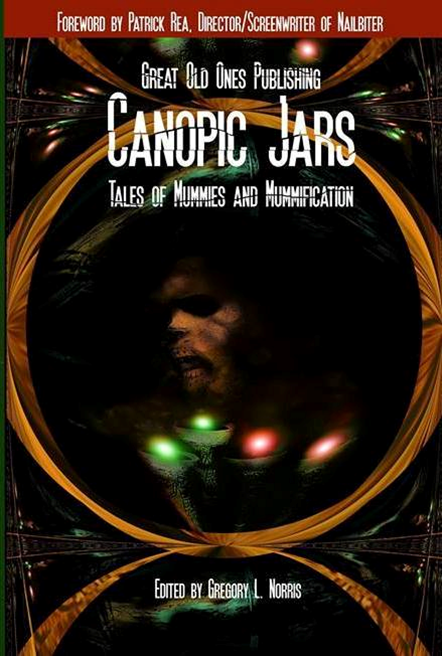 Canopic Jars: Tales of Mummies and Mummification—the anthology from Great Old Ones Publishing which includes my newest short story “Jarring Lucas”—is available and has, so far, met with positive reviews of the “it’s great to see something fresh done with the original walking dead” variety. Now that your holiday gifts are unwrapped, if you’re looking for something new to open, check out Canopic Jars: Tales of Mummies and Mummification. It could be just what you’re looking for on a cold January day. 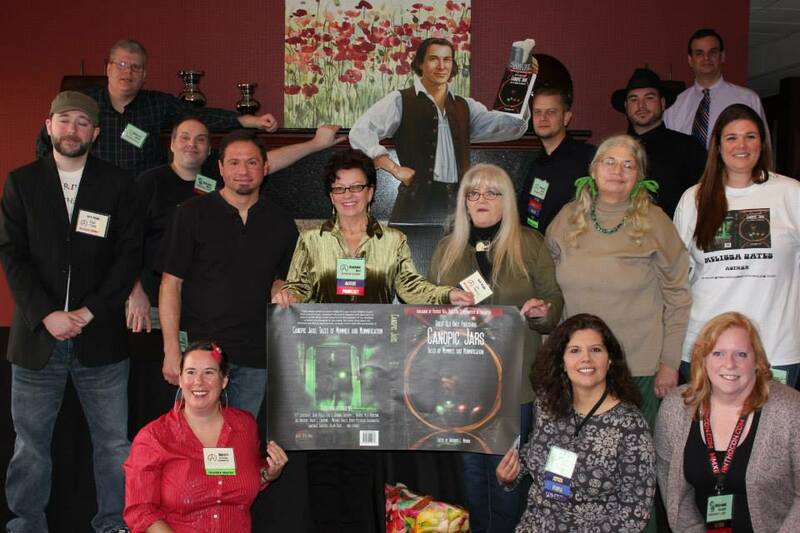 Some of the writers who have tales featured in Canopic Jars at the book’s release and signing at Anthocon, November 9, 2013 (See? Sam Adams is holding a copy. He knows what’s cool). Posted on January 9, 2014, in News, Reviews, Short Stories and tagged canopic jars in egypt, Canopic Jars: Tales of Mummies and Mummmification, Great Old Ones Publishing, Gregory Norris, Hellnotes, HP Lovecraft, Killer Reviews, Lurid Lit, Michael Bailey, mummy short stories, Short Stories. Bookmark the permalink. Leave a comment.